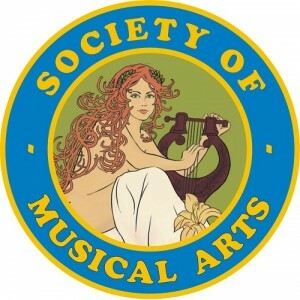 As the Society of Musical Arts Orchestra (Maplewood, NJ) prepares for its Sunday, June 4 performance of Dance for Martin’s Dream, 4 pm at the Maplewood Middle School (7 Burnett Street, Maplewood, NJ) music director Stephen Culberton (and Subito Music Founder and President) sums up why he’s “been a big fan of Michael’s music.” Co-commissioned by the Houston and Nashville Symphonies, the single-movement, 13-minute work was written as an orchestral homage to Dr. Martin Luther King, Jr. Dance for Martin’s Dream received a partial premiere in Houston in June 1997 (conducted by Stephen Stein), followed by Nashville’s premiere of the complete version in January 1998 conducted by Karen Deal. Abels shares some insight into his popular work. “It’s an intimidating assignment to write a piece on the legacy of Dr. King. The impact is too great to be contained in a single-movement work. I was a toddler when MLK’s historic speeches were being delivered, yet others are still alive who walked side-by-side with him. So I chose to write a piece that expresses the effect Dr. King’s courage has had on my life. His work was a generous gift that raised the limit of possibility for my generation of Americans. 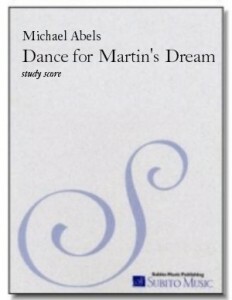 To express that, Dance for Martin’s Dream begins with a mournful elegy, but then takes off on a rhythmic rhapsody of up tempo American-identified genres. 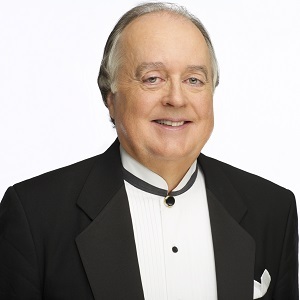 Though the music is energetic, there are still stressful, dissonant passages, but always with a drive toward positive resolution. “As accompaniment to the most powerful melody, the score calls fo r some vocal beat-boxing about mid-way through. It’s a spoken, nonsense phrase designed to sound like people chanting as they would at a demonstration or protest march. When I wrote it, I thought the beat-boxing would be easy for the musicians — but often it turns out to be more challenging than the actual music! So I appreciate the orchestra’s willingness to tackle this special technique whenever this piece is performed. There’s nothing more powerful than people chanting together, and you’ll feel that in the final crescendo at the end.